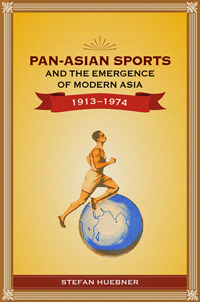 Huebner's impressive study of the organisation of international sport events in Asia in the twentieth century considerably expands our understanding of sport and international relations in the continent. Studying in detail the ten editions of the Far Eastern Championship Games (1913-1934), the Western Asiatic Games (1934), and the first seven Asian Games (1951-1974), he examines the transfer of ideology and images between Asia and the West, where the idea of international sport tournaments originated, and within Asia. The author thus produces a rich account of regional cooperation, exchange, or isolation through the period of late colonialism, decolonisation, and modern nation-building. The main strength of this book is the very original linking of the emergence of 'modern Asia' to sport - the grey area between two intersecting circles which has lately proven to be of great academic fecundity. However, whereas much of the existing research on international sport events in Asia examine a single event and host country, or a small cluster of countries, usually since the 1980s, Huebner takes the reader on an intercontinental ride over a longer time period. This is also a unique contribution to the study of Asian nationalism and pan-Asianism, which brings a variety of national contexts under the rubric of interpreting Asia as a concept and a region. Commercial networks and military campaigns have shaped the interaction of Asian regions since the flourishing of human civilisation. European imperialism annexed the rein of Asian interdependency in the nineteenth century. It turned out to be a momentous historical enterprise as subsequently the world, including much of the Asian literate elite, formed the image of the continent through European knowledge in which myth and reality were sometimes inseparably enmeshed. Several financial networks linked Asian communities outside the ambit of colonial rule, which expanded in the twentieth century into large businesses. Asian imperialist powers such as Japan and later the entry of the United States in Asia counter-mobilised mercantile and political institutions, forging new zones of influence. Simultaneously, Asian politicians and intellectuals, mainly Chinese, Japanese and Indian, promoted an alternative to the imperialist organisation of spaces and people, blending nationalism and universalism in different measures. The period of decolonisation generated new challenges of forming regional identity and power blocs among the apparently irreconcilably diverse Asian countries. The economic and political integration of Asian regions in the wake of decolonisation and the Cold War has inspired a rich historiography. As its newest contributor, Huebner has found a missing piece of the puzzle of trans-territorial articulation of nationalism and pan-Asianism in sport. As an addition to the oeuvre on Asian Games and the politics of sport in Asia, this book invites comparison to previous scholarship, and stands out in its breadth of research and analytical rigour. It adds a new dimension to the gospel of 'modernisation without Westernisation' by following the agents of modernising impulses across regions, all the while training sight on what modernity meant to disparate groups of people and institutions. This is essentially a story of how the recipient society negotiates cultural transfer and reorients cultural codes in a bid to self-differentiate from its own past and perceived present. Building on the concepts of authoritarian high modernism, ethno-symbolism, and nation-branding, the author produces a dynamic history of how several Asian countries used organisation of sport events to legitimise mining their tradition and materialise their vision of the nation's place in Asia and the world. The account of national regeneration, and international solidarity and conflict is articulated in eight chronologically ordered chapters. These analyse the aims and profiles of organisers, the ideological and administrative investment in successive sport events, and the potential result of such displays of national efflorescence in countries such as China, India, Indonesia, Iran, Japan, Philippines, and Thailand. Each of the chapters can be treated as an independent treatise on the embedding of sport within complicated geopolitical processes involving imperial, republican, and royal governments. The most interesting aspect of the book is the discussion of the perception of the European concepts of internationalism and egalitarianism in modern Asia. The author shows that the pan-Asianism inherent in the Asian Games was more illusory and fraught with ideological strife than the organisers would have acknowledged. Each of the events were driven by a different set of ambitions. The inaugural Games in New Delhi (1951) sought to realise the Indian Prime Minister Jawaharlal Nehru's vision of a peaceful connected Asia in which pro-Communist countries were a militant aberration. The ideal continued through the Games in Manila (1954) and Tokyo (1962), while the Jakarta (1962) Games promoted the idea of a politically coherent Asia by excluding the 'American puppets' Taiwan and Israel as well as Communist China, and antagonised its critic India. The two Games in Bangkok (1966 and 1970) reinforced the model of Asiatic unity in diversity though Communist governments were still kept out, and finally Teheran (1974) invited China in a bid to improve the diplomatic ties between the two countries for Iran's objective of integrating the nations bordered by the Indian Ocean to be successful. 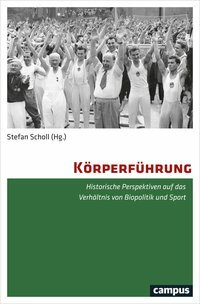 The encroachment of politics in sport was evident in how each of the organising countries designed the events in order to promote a carefully cultivated image to the world, with various extent of success. The limited application of internationalism and the emblazoning of ideologies upon sporting performances reveal the vicissitudes of modern nation-building. The author's excellent grasp of the relevant secondary literature and primary sources scattered across continents is manifested throughout the text and obviously the extensive bibliography. A minor blemish of the book, which in no way should detract from its overall excellence, is the uneven quality of the chapters owing to the author's greater expertise in East Asian history and language. The chapters on India and Iran are comparatively weaker as the author seems to have consulted only a handful of English-language secondary sources, selected newspaper reports and some correspondences between sport organisations, to the exclusion of documents from the national Olympic associations and various other newspapers published from the host cities. Visiting the archives of sport organisations in four or five countries is difficult, and perhaps over-ambitious considering the text was written as a doctoral thesis which comes with the restraint of time and resources. Also, one needs more than academic intent to be able to access the ill-organised archives of Indian and Iranian Olympic associations governed with iron fist by politicians. Yet, a more balanced tour of Asian history is expected of a scholar of Huebner's calibre, maybe in the book's next edition. The research is otherwise outstanding for a first book, and it is a recommended read for academics interested in international sport and politics.